Just click on thumbnail for expanded image. 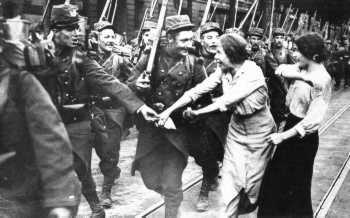 Civilians join German soldiers on their first mile's march towards Paris. 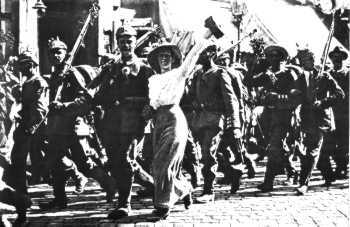 French soldiers, also joined by civilians, on their way to Berlin. 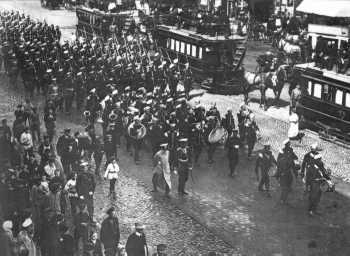 Russian soldiers with band in St. Petersburg. 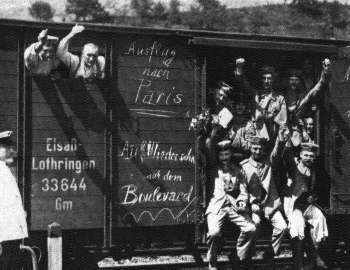 German soldiers on the "Paris Express". 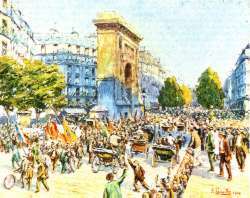 The graffiti reads "on to Paris". 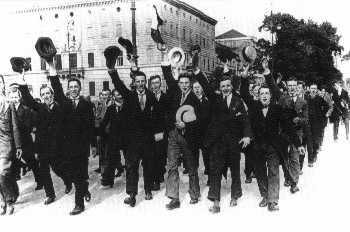 Berlin students on their way to enlist. 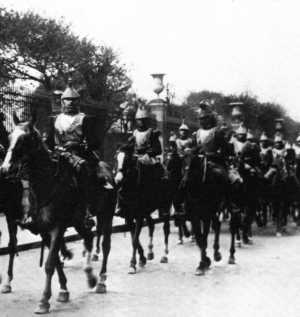 French cuirassiers depart Paris on horseback. 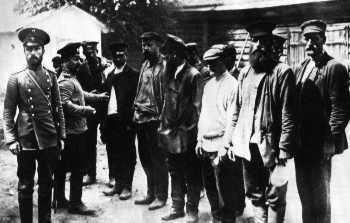 Russian peasants "volunteer" for the Czar's army. 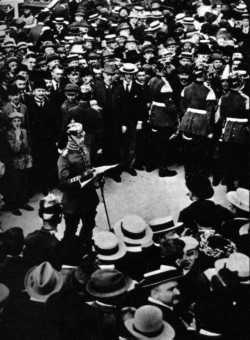 The Kaiser's war order is read on 1-Aug-1914. 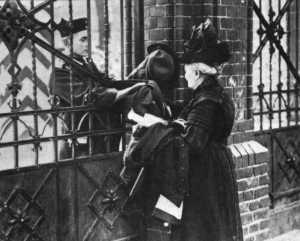 German recruit bids farwell to what might be his mother. 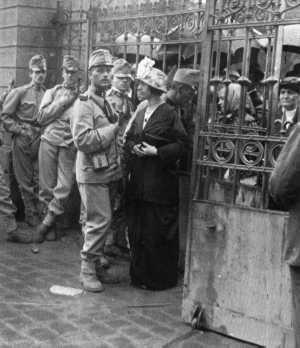 Austro-Hungarian troops waiting to depart from Prague. 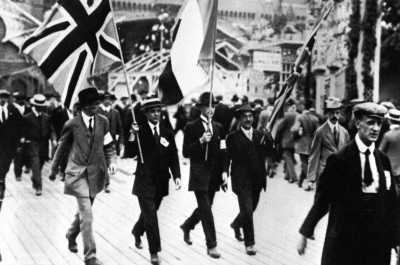 English and French, colors side by side, at the outbreak of hostilities. 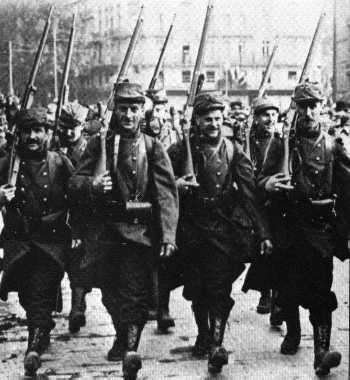 These care-free French troops would soon learn the realities of war in the industrial age. 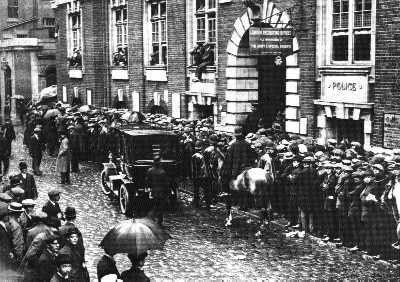 British hordes swamp the recruiting office. This would augment their small professional army with much needed manpower. 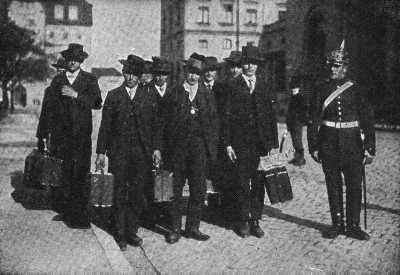 Bavarian recruits at Munich. 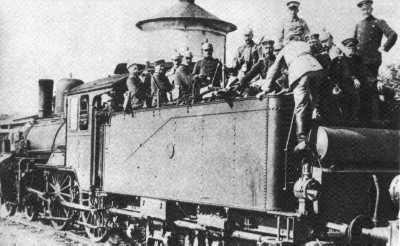 German troops packed into the tender of a locomotive. 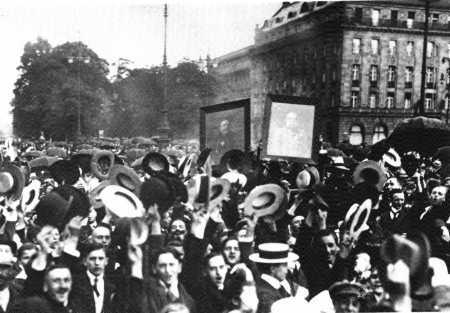 Citizens of Vienna with portraits of the two Kaisers, Wilhelm II and Franz-Josef.